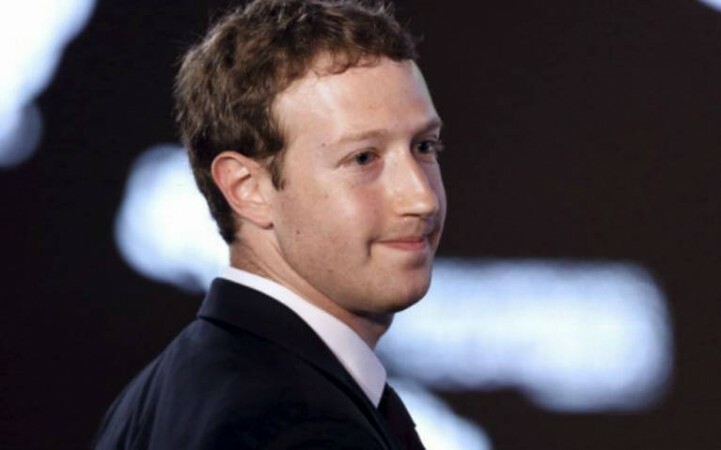 The 33-year-old billionaire repeatedly apologized for a range of problems that surrounded Facebook during nearly five hours of questioning by 44 US senators. Facebook chief Mark Zuckerberg did just fine in front of a rare US Senate joint committee hearing Tuesday. The 33-year-old billionaire repeatedly apologized for a range of problems that have surrounded Facebook during nearly five hours of questioning by 44 US senators. Investors were impressed with his performance. Shares in Facebook posted their biggest daily gain in nearly 2 years, closing up 4.5 percent, as per Reuters data. But it's a loss for the rest of us. "Facebook will keep failing users' trust as long as its business is based on unrestrained hoovering of as much user data as possible, and crafting ever-more innovative ways for advertisers to harness that information for commercial goals," Bloomberg columnist Shira Ovide wrote in a post. Ovide is right in flagging this inherent conflict that was on display during Zuckerberg's exchanges with the Congress. When senator Roy Blunt, the Republican from Missouri, asked Zuckerberg a series of questions about what information the company can collect on its 2 billion users and use for advertising, he simply replied, "I can have my team follow up with you." So, whenever the questioning got tough, Zuckerberg made clear that he could not be trusted to give an answer. He usually stuck closely to talking points with a somewhat robotic delivery. How many fake accounts have been removed? "I'm happy to have my team follow up with you." Were Facebook employees involved with Cambridge Analytica's help for Donald Trump? "I can certainly have my team get back to you." Democratic Senator Kamala Harris was among the lawmakers dissatisfied by Zuckerberg's responses. "Mark Zuckerberg's failure to answer several critical questions during his appearance before the Senate today leaves me concerned about how much Facebook values trust and transparency," she wrote on Twitter. Senator John Kennedy also raised the similar issue following Zuckerberg's testimony: "I'm just not sure, we connected. He was too rehearsed, he did too good of a job. I wanted him just to come in, and let's talk." While Zuckerberg was coached for the hearing by some of the best Washington hands money can buy, the lack of preparedness by some of the senators was on painful display. Ok, not one senator here is going to ask a tough question, are they? And def not this new one @SenatorTester who thanks Zuckerberg effusively. Then he utterly surprises me by asking WTF is Facebook going to do except react. Go Montana. Hatch: "How do you sustain a business model in which users don't pay for your service?" Zuckerberg: "Senator, we run ads." While Zuckerberg remained largely unruffled and serious as senators questioned him, the lack of tech knowledge among those asking him questions was exposed.